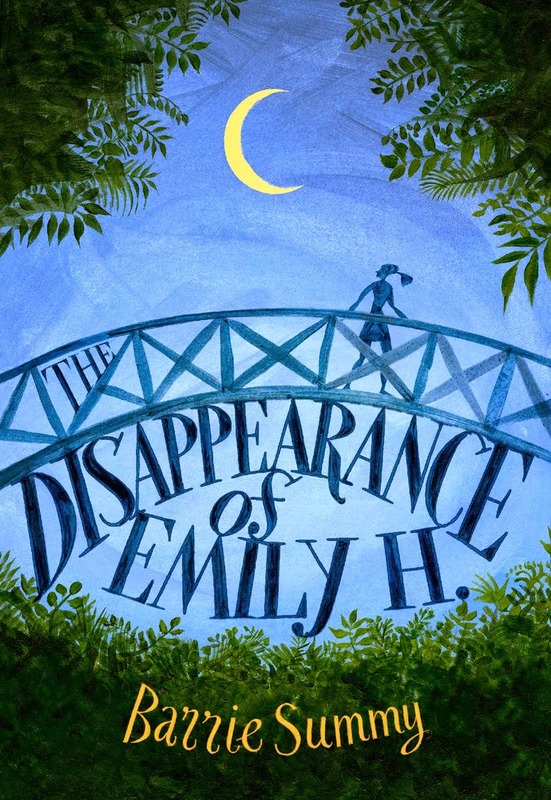 Welcome to the April 2019 edition of The Book Review Club! In April 1828, Noah Webster, at the age of 70, copyrighted his first dictionary. April is the birth month of Charlotte Bronte. It's also the birth and death month of William Shakespeare. Actually, a lot of authors were born in April: Poet Williams Wordsworth, Harper Lee, Henry James and more. So, it's a perfectly good month to bring you reviews of books we'd like to recommend. Please scroll down after my post. Enjoy! 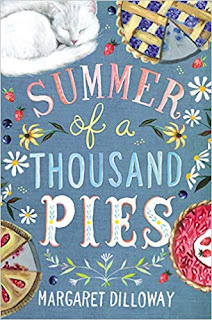 Summer of a Thousand Pies is one of those terrific middle-grade books that gets kids thinking about tough stuff. It's also a great story, so entertaining and heartwarming that readers won't be able to put it down. Win-win. When 12-year-old Cady Bennett's dad ends up in prison, she goes to Julian, CA (I was there last week for lunch!) to live with an aunt she'd never met. Cady makes new friends, discovers the town, works in her aunt's pie shop (Julian is famous for apple pie! ), learns to bake pies. and helps save the pie shop from financial ruin. It's a story about family and friends and community and, yum, pie! It's also a story about homelessness, parents with addictions, undocumented immigrants and Dreamers. See what I mean about tough stuff? 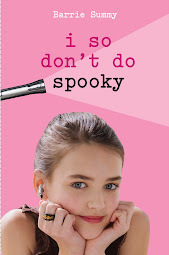 But the tough stuff is deftly and naturally woven into the story in the most perfect of middle-grade ways. In fact, one of my favorite scenes is when Cady's new friend shares that he and his family don't ride the public bus for fear of getting caught up in an ICE sweep and deported to Mexico. Jay and his family are undocumented immigrants. What follows is an interesting, thoughtful conversation about immigration between two 12-year-old kids. Beautifully written. With only the kinds of insights 12-year-olds can have. We're in Cady's head as she puzzles through the complex issue as it pertains to her. (Eg. My grandfather wasn't born here. Did he come to the U.S. legally?) She considers the difficulties in her own life (and there have been several), but concludes they don't match up to the worry of being kicked out of the country. Also, there are scrummy* recipes at the back of the book!!! 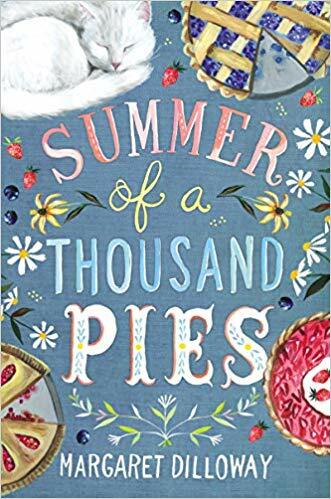 Summer of a Thousand Pies goes on sale April 16. There will be a book signing (with pie!) at Mysterious Galaxy on April 20 where I will be interviewing Margaret Dilloway with hard-hitting and embarrassing questions. Or we might just have a friendly chat. Details here. 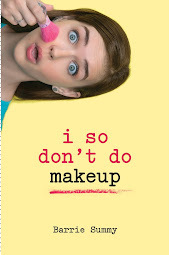 You definitely make me want to read this book! It doesn't hurt that it's about pies, either! What a timely book! Thanks for hosting, Barrie. I always meant to get to Julian when we were in CA but never did. Wish my grandson would read this but I doubt it. If it is not about Fortnite or Dungeons and Dragons, it is hard to get him interested. Wow! The last couple of months you've reviewed books with serious content. This sounds like a good book though. Thanks for the review. Ack! Lucy, good call. Every once in a while I delete the FCC thing, and ,once it's out, it's. I'll add it now because I did read an ARC. Thanks for noticing!